Apart from state-of-the-art facilities and high quality products, Tritex Services anchors its performance on one key factor: dedicated customer support. This is how we know what you, our customers want, what you need, and how we can most efficiently give it to you. One thing that we always work hard on with every service we provide is to not have our clients call in for orders or follow ups. That means we work hard to maintain consistency especially in schedule – where you can expect us to be there when and where we agreed to be there right from the beginning, from pickup to delivery; where you won’t have to worry about running short of your linens; where all your invoices are updated and accurate and you don’t have to call for any sort of complaints.Achieving this is part of Tritex’s customer support group – to ensure that everything works as smoothly, as perfectly, and as conveniently for you to get complete customer experience. My name is Jeff Forester and I’m the President of Tri-State Rental Services, Inc., dba Tritex Services. Tri-State Rental Services, Inc. was founded by James Forester and Jeff Forester in 1989. The business was started from scratch in a 20×20 building behind my dad’s house with zero customers. After years of struggles, a lot of tears and a lot of growth, in 2008 we revamped our image and logo, rebranded and started doing business as Tritex Services. My wife and I are now 100% owners of the company but dad still comes by each morning to get a cup of coffee. 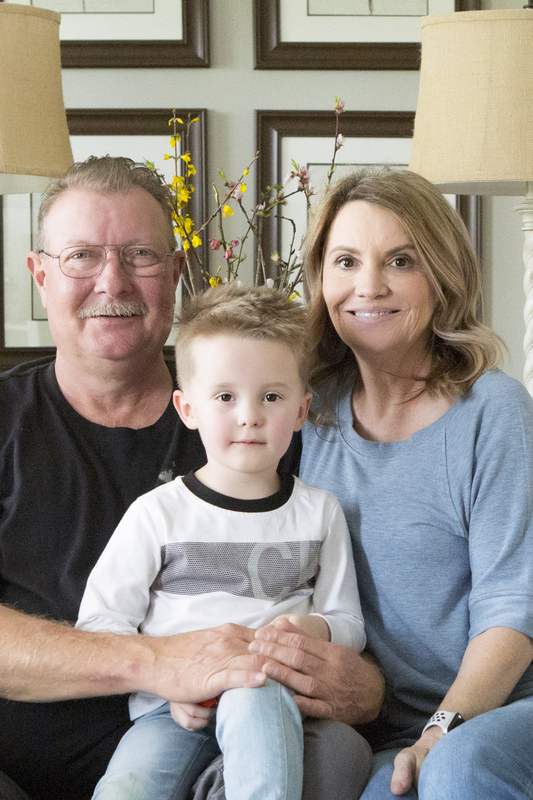 My mother and father both still reside in Northwest Ga. We’re thankful and proud to be a part of and be called a true “locally owned and operated family company”, and we’re lucky enough to have such a great team of employees that make it all happen. I live near Trenton, GA abd have been married to my lovely wife, Anita Forester, since 1989. We have two children. Our daughter, Taylor Forester, works for Delta Airlines. Our son, Austin Forester, serves our country with the US Navy and is married to Tristan Forester. I enjoy traveling with my wife… we’re always up for new adventures. I also enjoy Crossfit, running, hunting, fishing, farming, and practically anything outdoors. My name is Anita Forester. I’m the Office Manager and over AP at Tritex Services. I live in Trenton, GA and have been married to my wonderful husband since 1989. We both love to travel when we have time. I enjoy crossfit, hiking, and spending time with our family. We have a beautiful daughter, Taylor, who is a Flight Attendant for Delta Airlines and is busy seeing the world. Our amazing son, Austin, is serving our country with the Navy. He is married to Tristan Forester, and they currently live in Virginia Beach, VA.
Hello there, my name is Roy Hall. 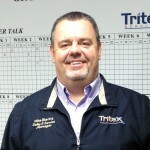 I’ve been the Plant Manager at Tritex since May 2006. I’ve watched us grow through the years. I live in Chickamauga, GA and I’m married to my beautiful wife, Becky. We love to go on Jeep rides in the summer and hang out at the house smoking food on the smoker and watching college football. 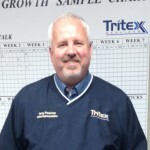 My name is Tony Fletcher and I am the Sales Manager for Tritex Services. I have been with Tritex since November 2009. I have 24 years experience in the industry. I look forward to serving you during our partnership. I live in Chickamauga GA and I have 3 children. I love Trout fishing in the Smokies and doing anything that involves spending time with my kids. My biggest accomplishment in life is raising 2 wonderful daughters and 1 son that are smart, responsible and caring. 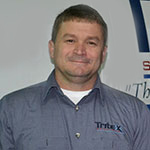 My name is Mike Blevins and I am the Service Manager for Tritex Services Inc. I have been with Tritex since September 2005. I have over 17 yrs experience in the industry. I look forward to serving you during our partnership. I grew up in and graduated high school in the same small town in which our plant is located. We truly are a LOCAL and FAMILY OWNED company. I am married with 2 daughters. My wife Tracy is the principal at our elementary school, and both daughters, Molly and Macy, are attending school in Dade County. I enjoy working around the house, watching a lot of college football, and doing anything with my family. 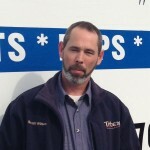 My name is Ken Wheeler and I am a Route Manager for Tritex Services. I have been with Tritex since March 2000. I look forward to serving you during our partnership. I live in Trenton GA and I have 2 sons, Ben and Matt. I love working around the house, and spending time with my family. My wife and I enjoy taking weekend trips to visit our sons . One of my biggest accomplishments in life is raising 2 extremely intelligent and devoted children. My name is Wesley Bethune and I am a Customer Support Specialist for Tritex Services. I have been with Tritex since October 2016. Please don’t be fooled by my inexperience I am very dedicated and I learn quickly. I look forward to serving you during our partnership. 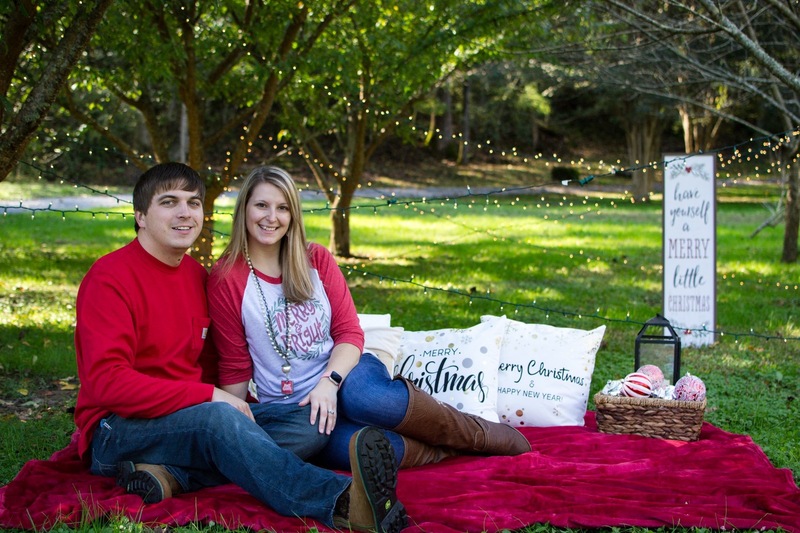 I live in Trenton, GA and I am a newlywed to my wife Alexx. A few things that I thoroughly enjoy are Football, Hunting, and Fishing. I also appreciate Handmade Woodwork. When I’m not busy with those things I Take joy in Hiking with Alexx and playing Frisbee with my Labrador Jack. 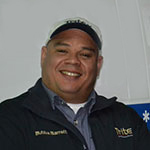 My name is Bubba Barrett and I am a Route Service Representative for Tritex Services. I have been with Tritex since September 2004. I look forward to serving you during our partnership. I live in Trenton GA and I have 3 children. I love to go fishing and I love riding ATV’s with my children. I am a big fan of the Tennessee Volunteers, and I love NASCAR. I have had multiple years with no lost customers which resulted in Tritex Services naming the highest award given each year the Bubba Barrett Award. 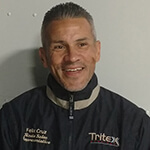 My name is Felix Cruz and I am a Route Service Representative for Tritex Services. I have been with Tritex since March 2014. I look forward to serving you during our partnership. I live in Trenton GA and I have 2 children. I love working around the house, going to church, and spending time with my family. My wife and I are very active in our church. I moved to Trenton GA from New York City 7 years ago. 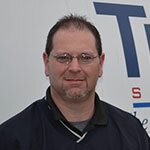 My name is Scott Wilson and I am a Route Service Representative for Tritex Services. I have been with Tritex since March 2013.I have 13 years experience in the industry. I look forward to serving you during our partnership. I operate Route 5 and I service the Knoxville TN area. I live in Cleveland TN and I have 1 child. I love working around the house, shooting guns, and making people laugh. My wife and I enjoy taking spur of the moment weekend trips to places we’ve never been. One of my biggest accomplishments in life is that I am 100% debt free. 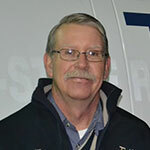 My name is Robin Greathouse, and I am a Route Service Representative for Tritex Services. I have been with Tritex since June 2008. I look forward to serving you during our partnership. I live in Chickamauga, GA, and I have 4 children. I love working around the house and spending time with my family. I spend a lot of time coaching and watching my daughter place softball. My name is Traci Perry, and I am the Office Administrator for Tritex Services. I have been with Tritex since February 2018. Although I am young and newer to this industry, I have a years of Office Administrative experience. 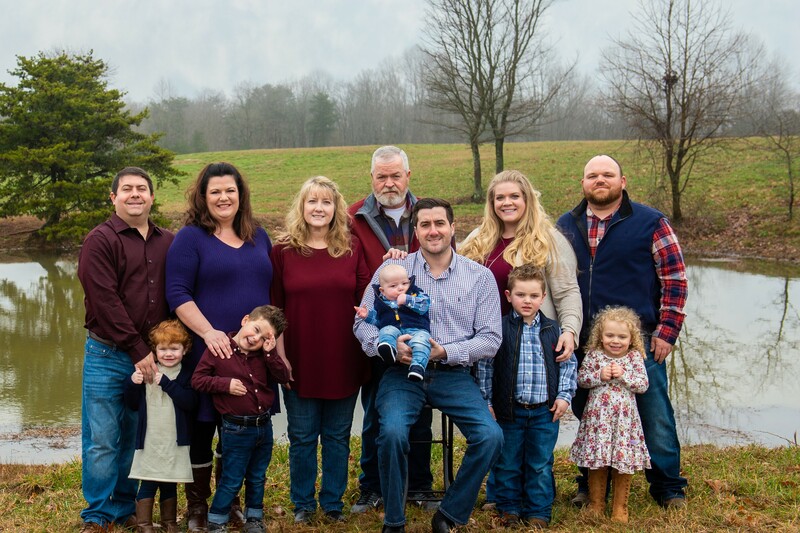 I live on a farm in South Pittsburg, TN with my husband, Hunter, who I’ve been married to since 2014. I enjoy spending time with Hunter, doing projects around the farm, watching college football, and running. We have a lot of animals that are basically like my children to me that I love very much. My name is Jenita Wood, and I work in the office as HR/Administrative Assistant. I previously worked for Tritex for 13 years, had to leave for little over a year and was rehired January 2019. I enjoy my supportive roll here and will be happy to help with whatever is needed. I live on Lookout Mountain in Rising Fawn, GA. My husband Rickey and I have 3 kids and 5 grandkids that we love dearly! I enjoy spending time with my family and playing with our new Boxer puppy, Ranger. I go to church at Piney Grove Baptist where I have been an active member since 1998. 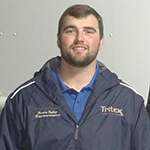 My name is Zeb Reece and I am a Route Service Representative for Tritex Services. I have been with Tritex since August 2018. I look forward to serving you during our partnership. I live in Higdon, AL near Trenton, GA. I love hunting, fishing, hiking, and being outdoors in general. I recently graduated with a bachelor’s degree from Jacksonville State University. I also like to watch college football and grill out with my friends. Hello my name is Kenneth Loveless. I am a Route Sales Representative for Tritex Services. I have been with Tritex since September 2018. After 35 + years in warehousing and third party logistics, it is refreshing to work with a family type business. 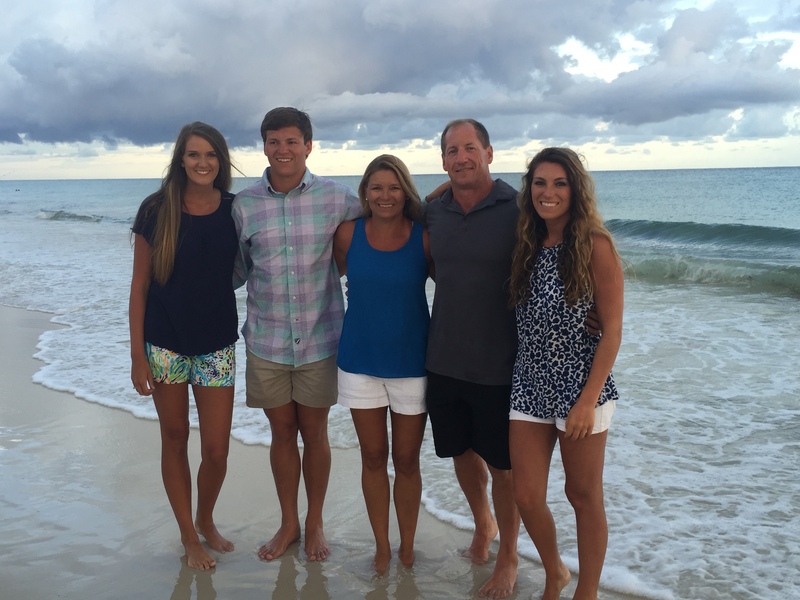 I live in Ider, AL and have been married to my wife Tammy since 1985. We have 2 grown sons, Broderick and Christian, and 1 grandson, Kenderick. My hobbies include fishing, camping, home rehab along with collecting and shooting firearms. My name is Chris Latka, and I am the Route Service Representative in the Healthcare Linen Division for Tritex Services. I look forward to working with you during our partnership. 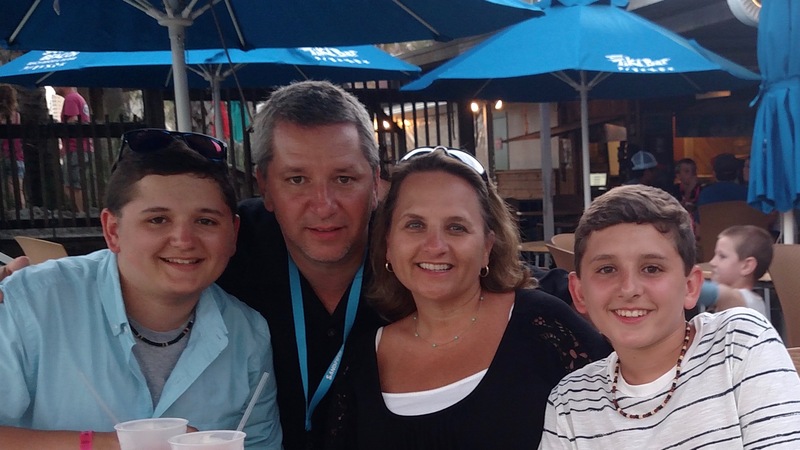 I live in Jasper, TN and love spending time with my wife and two sons. We are big football fans, like to take weekend trips, and enjoy working in the yard doing landscaping. We also enjoy grilling out and spending time with our friends. My name is Broderick Loveless and I am a Route Service Representative for TriTex Services. I started with Tritex in November 2018. I am new to the company, and I am excited for this opportunity that has been given to me. I look forward to serving you during our partnership. 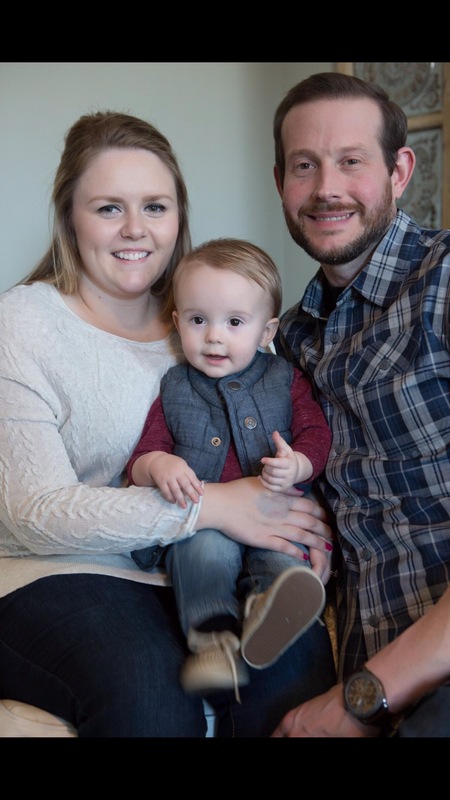 I live in Trenton, Ga with my wife, Stephanie and son, Kenderick. I enjoy spending time with my family. I also enjoy fishing and playing golf with my brother. I love Alabama football Saturdays and watching the game with family and friends. 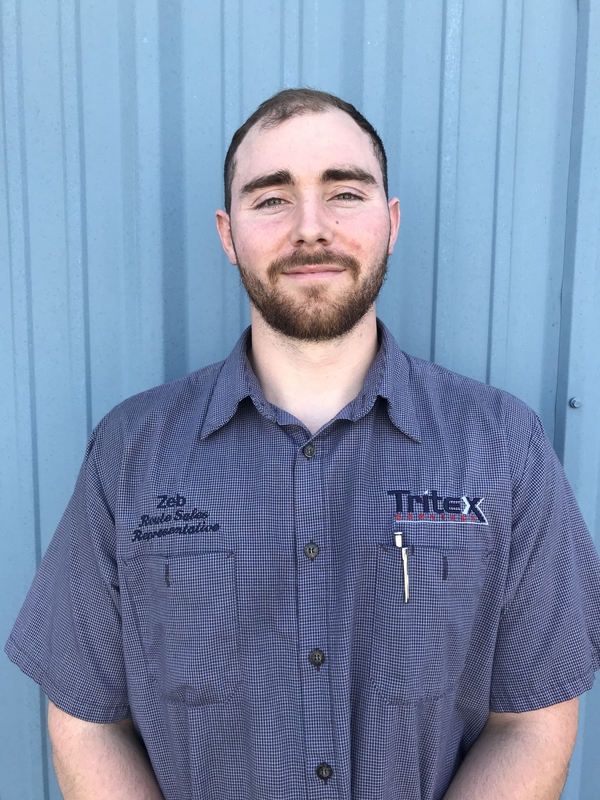 My name is Adam Wilson, and I am a Route Service Representative for Tritex Services. I have been with Tritex since February 2018 and look foward to serving you during our parternship. I live in Cleveland, TN. 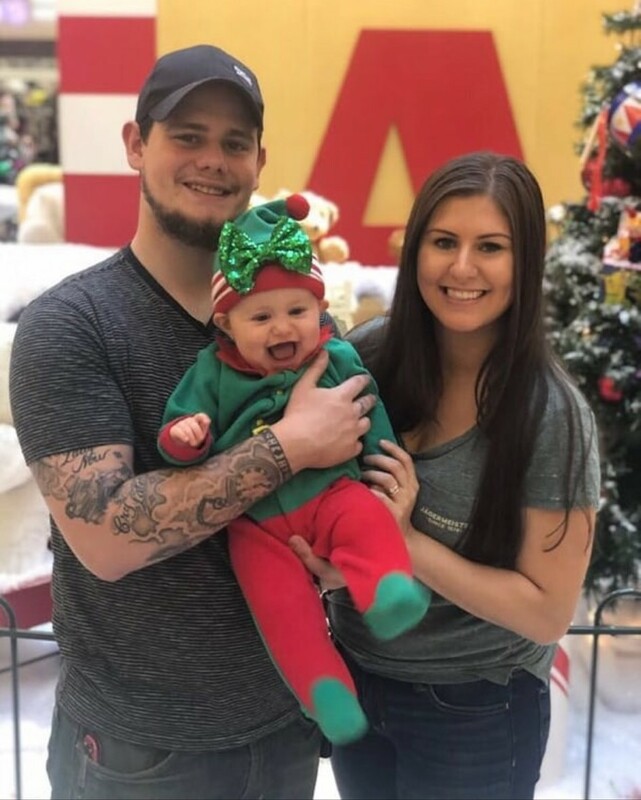 I am married to my beautiful wife, Christina, and we have a daughter, Aria. I enjoy being outdoors whether it be swimming or backpacking. I also enjoy playing music or just relaxing when I get the chance. One thing that we always work hard on with every service we provide is to not have our clients call in for orders or follow ups. That means we work hard to maintain consistency especially in schedule – where you can expect us to be there when and where we agreed to be there right from the beginning, From pickup to delivery; where you won’t have to worry about running short of yourlinens; where all your invoices are updated and accurate and you don’t have to call for any sort of complaints. Achieving this is part of Tritex’s customer support group – to ensure that everything works as smoothly, as perfectly, and as conveniently for you to get complete customer experience. Whether you are a small or large company, Tritex will meet your needs with dependable service, a professional attitude and an understanding of what it takes to keep your business running smoothly. We are a locally owned and operated company.